I saw a “garden resolution” from a garden center on Twitter. Its resolution was “get growing earlier.” I smiled when I saw that because for some of us, as you can see by this photo, gardening never really stops. 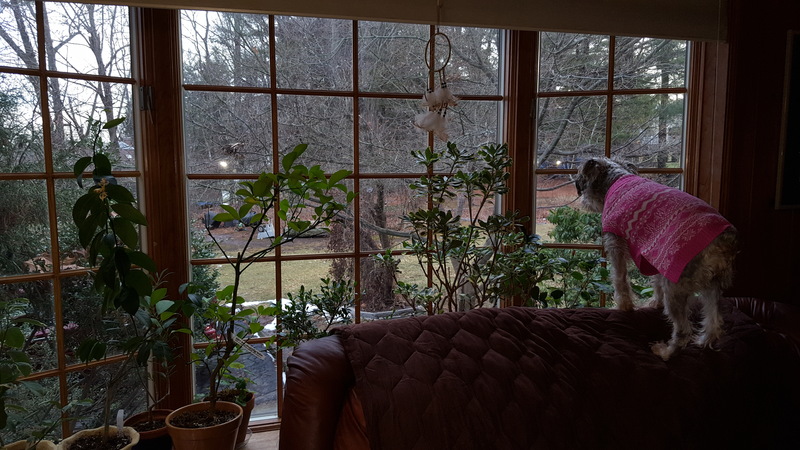 Over the New Year’s holiday, I was pruning, treating plants for insects (organically, of course! ), sadly saying goodbye to a few plants that I lost (so “pruning” of a different sort–or is it paring down) bringing several tender figs indoors to a warmer place and just generally puttering happily about with my house plants. This took up all of a good part of one day and could have taken more if I had let it. 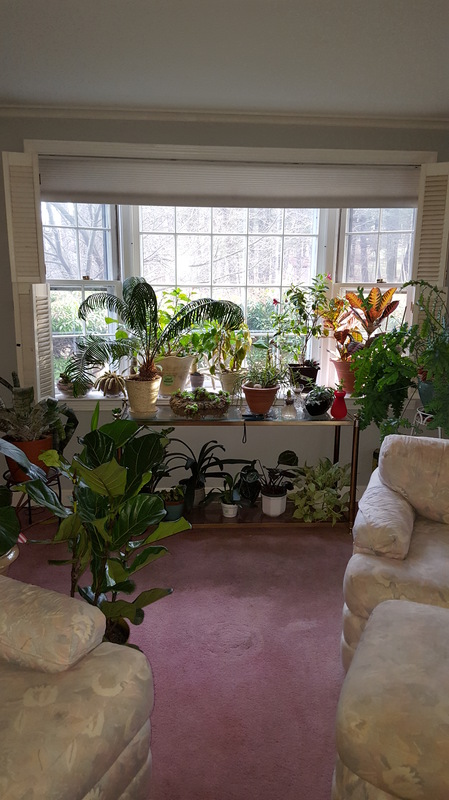 Not everyone has the hundreds of house plants that I have (and not everyone wants to have that massive a collection!) 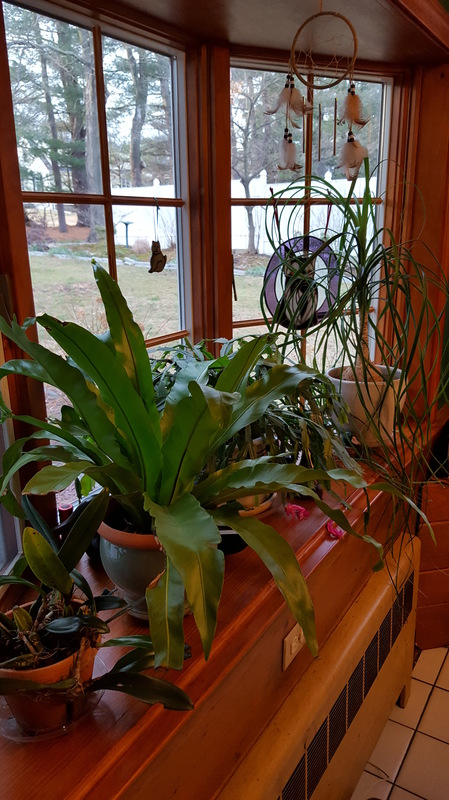 I also read something over the long holiday weekend where someone said that too many house plants looked like “clutter.” Clearly he and I beg to differ–but then again, he lives in Florida and can literally garden outside year round. 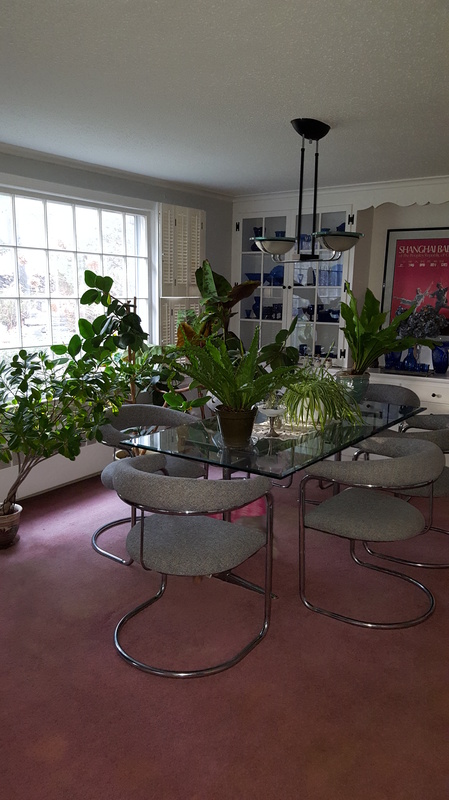 But if you do have a large house plant collection–where you in effect sort of turn your house into a bit of a greenhouse–you also have a responsibility to “manage” all those plants just as any other plant collector would. In any event, for the most part, house plants do far more good than harm, particularly so long as you are not using any chemicals to treat them indoors (no point in endangering yourself, your children or pets). In the coming days, although I have done so before, I will talk about indoor plants and their various benefits. In the meantime, just enjoy their beauty! And by the way, these are just photos of the first floor of my house. 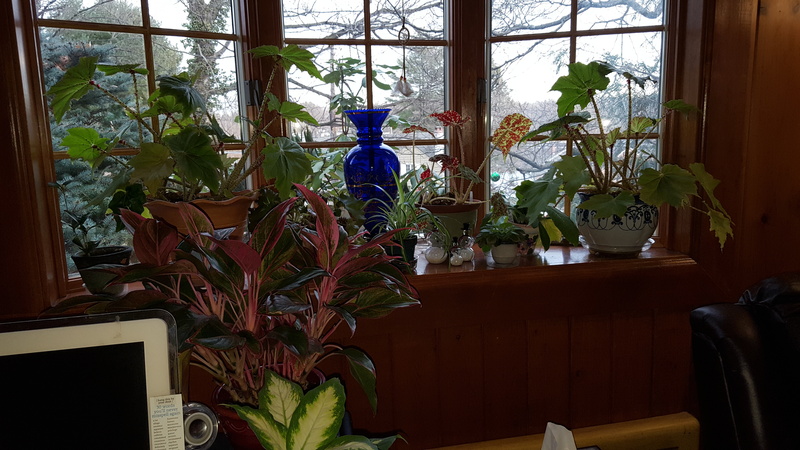 The windows in the rooms on the second floor are similarly “cluttered ” with house plants. I am even forcing amaryllis bulbs in the furnace room in my basement. Now that’s making creative use of space. Next Article How Do We Define an Expert?